The Supermarket Museum: a new communication channel for organizations that have a clean sheet and create positive social and environmental impact. If you are such an organization, please read further and contact Change in Choice with any questions or ideas. As you can see, the name itself can spur everyone’s imagination. There is a constant stream of ideas regarding the food and drinks related information that can be shown and the ways in which it can be presented. its transfer from city to city. In each location, the Supermarket Museum comprises of two stages. Both involve the designing of a place which at first sight would look like a supermarket, in order to initially attract consumers of all types. 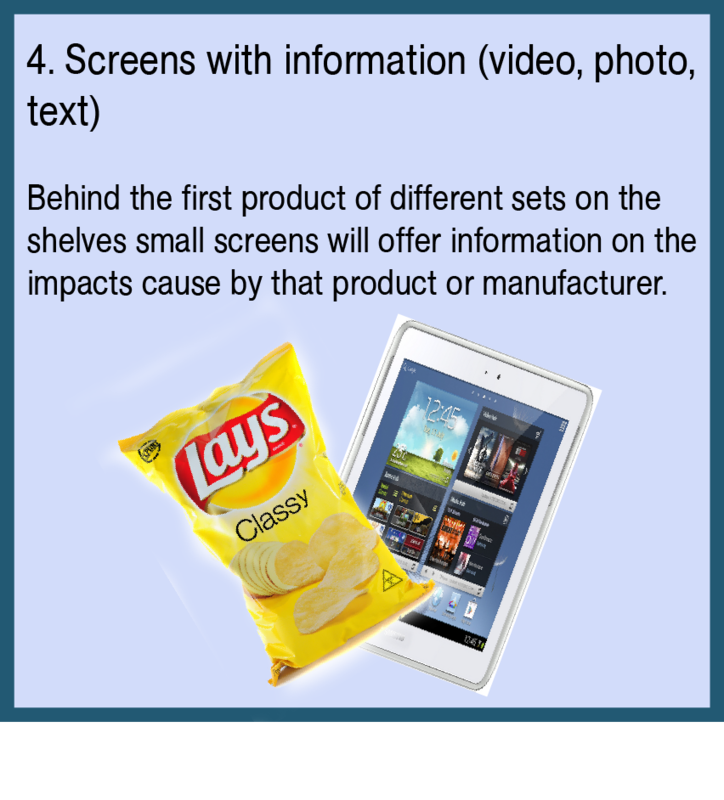 Once a ‘customer’ takes a closer look, (s)he would notice that the information displayed on the normal physical spaces (banners, posters, price tags, etc) is about meaningful impacts of products’ life cycle. In the first stage, people who don’t realize the differences and try to pick up a product, are alerted through different interactive technologies of a striking impact related to the product, and, on request, would be provided further information. The ‘prank’ effect will lead to different reactions which will be filmed and compiled into a short video. The Supermarket Museum is a response to brand building by the food and drinks industry. 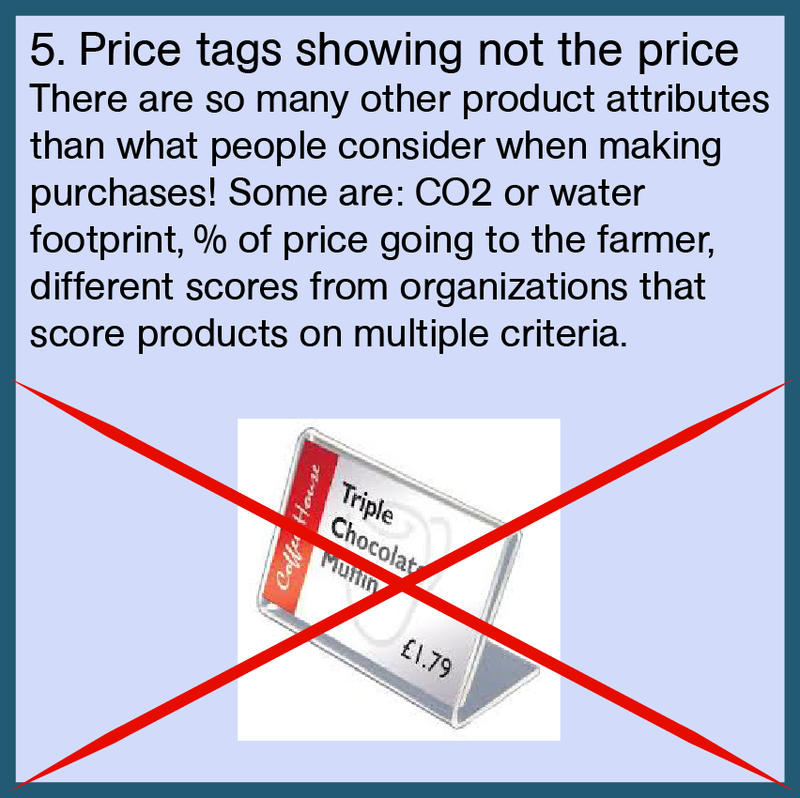 Consumers and visitors will no longer see only the brand names, prices or even nutritional value of products. They will be faced with all the impacts of their everyday supermarket purchases. It’s a better alternative to smartphone apps which struggle to extend their target audience beyond the ‘globally aware consumers’. Rather than taking the information to consumers, due to the design of the Supermarket Museum, the consumers come themselves to receive the information. This is a more effective and non-intrusive approach.